When will be Street Outlaws: Horsepower next episode air date? Is Street Outlaws: Horsepower renewed or cancelled? Where to countdown Street Outlaws: Horsepower air dates? Is Street Outlaws: Horsepower worth watching? 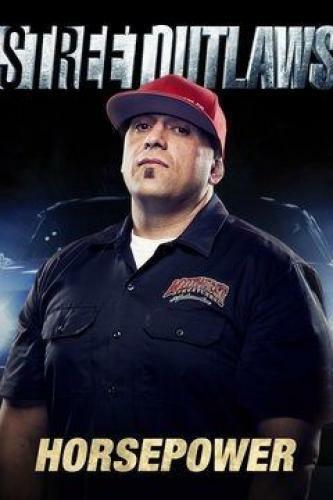 Street Outlaws: Horsepower is the 9th spin-off series from the Discovery Channel very popular "Street Outlaws" franchise. The OKC crew takes on the best street racers in the country at the American Outlaws Live event to take home the $75,000 prize and bragging rights; extra scenes, insider facts and a Mega Moment flashback. Chief and Richard fight about who will drive their cars; Farmtruck and AZN have to wait on Aaron; the drivers race to see who has what it takes to win. Ryan and Chuck are getting ready to battle for number one again; Farmtruck is feeling the heat and he does everything he can to hold onto a spot on the list. Reaper struggles to get his car fixed in time for race night; Farmtruck and AZN think outside the box to round up some races. Street Outlaws: Horsepower next episode air date provides TVMaze for you. EpisoDate.com is your TV show guide to Countdown Street Outlaws: Horsepower Episode Air Dates and to stay in touch with Street Outlaws: Horsepower next episode Air Date and your others favorite TV Shows. Add the shows you like to a "Watchlist" and let the site take it from there.